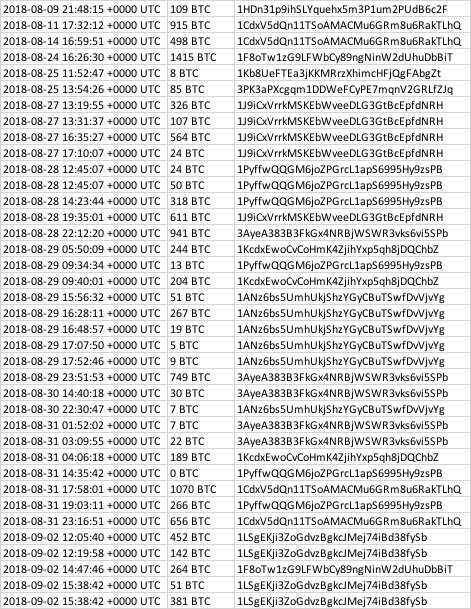 This is the third post of a series of articles dedicated to investigate $ 1B worth of bitcoins (111,114 BTC/BCH/… BXX) that were dormant since 2014 and started moving actively. The BTC coins were originally located at this address (1KyJr2L6CN5XhDfv9Sb5q3kjKwFCrRxTLy). The origin of the bitcoins is discussed here. A deep-dive into the wallet activity was discussed here. Today, I will focus on the transfer to major exchanges wallets that could indicate that the owner is selling his coins or exchanging it with alts or mixing it to cover his back. 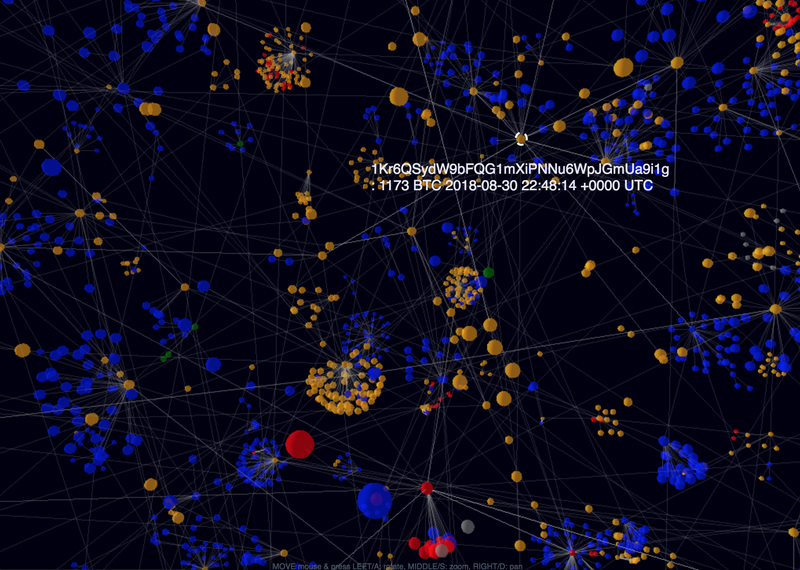 I built a graph in order to deep dive into the transactions originated from the 111,114-BTC wallet and to follow it. 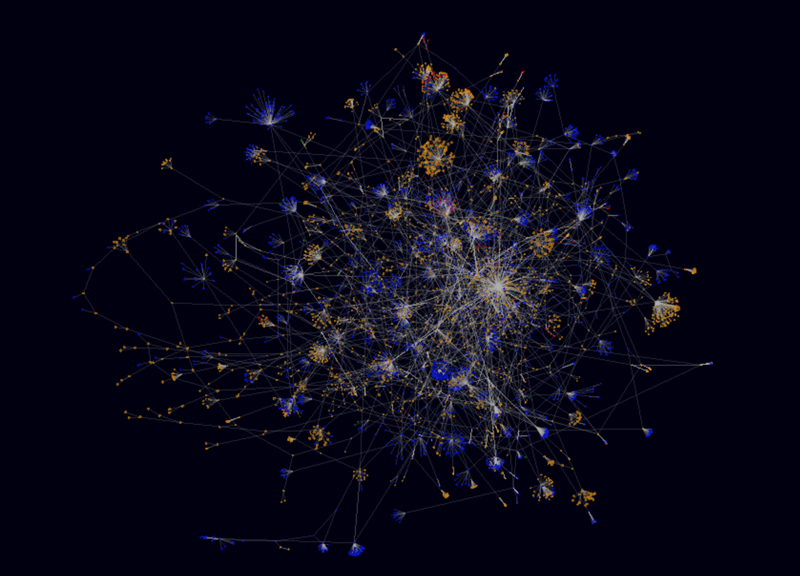 This is the resulting graph were red indicates transactions <1 day, yellow <1 month, blue <1 year, green else. 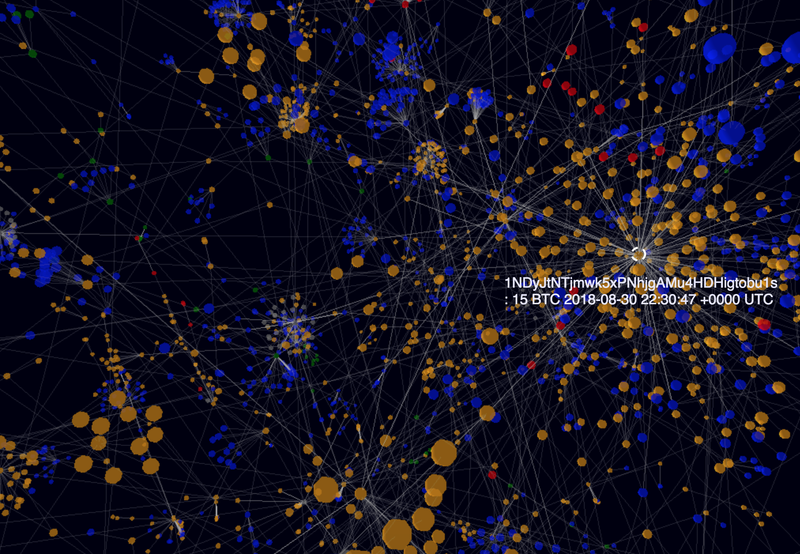 I found that at least 15,593 BTC originated from the 111,114-BTC wallet have been moved to Bitfinex and Binance wallets. This represents 14% of the original funds and more that $ 110M. 11,114 BTC have been transferred to Bitfinex wallet 1Kr6QSydW9bFQG1mXiPNNu6WpJGmUa9i1g and the majority of these coins have been transferred in the last 7 days (August 24th – September 2nd). 4,421 BTC have been transferred to Binance wallet 1NDyJtNTjmwk5xPNhjgAMu4HDHigtobu1s and the majority of these coins have been transferred in the last 10 days (August 21st – September 2nd). How do you think will impact the market? Do you want me to continue this investigation? The post Japanese Banks to Test Blockchain Money Transfers Blockchain Using Digital Currencies appeared first on CryptoCoinsNews.